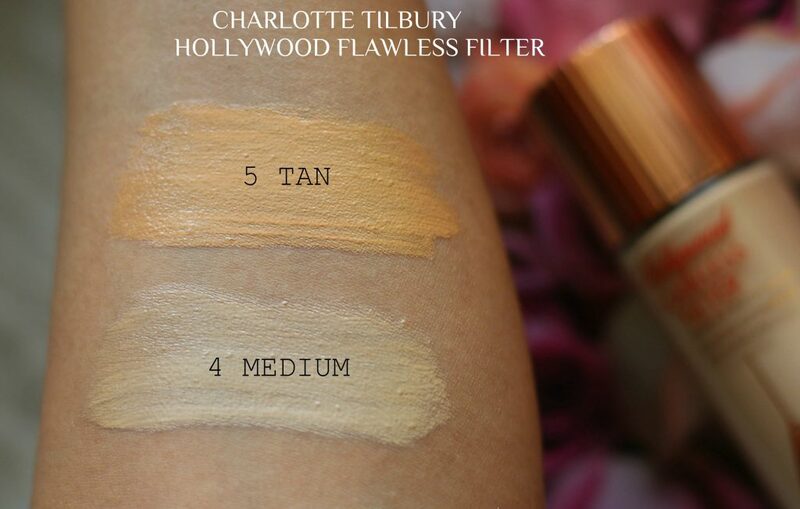 Charlotte Tilbury Hollywood Flawless Filter is one of the newest releases from the brand. Initially, I was wondering – What is this product exactly; Is it a primer, illuminator or a foundation. Well, it’s a filter to your face! 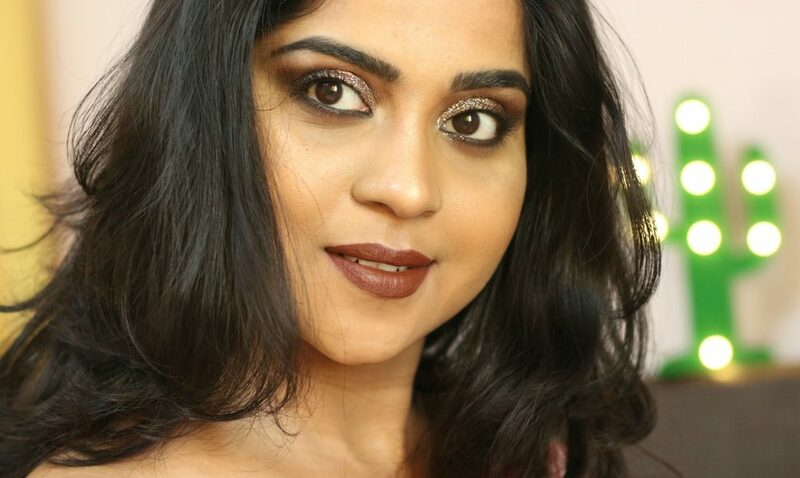 I have to admit – Many a times after a taking a selfie using some of the makeup apps; I always thought about a product that’d give those flawless filter effect to my face! Something that hides my pores and make my skin look luminous and glowy. This is it! Wait is over. 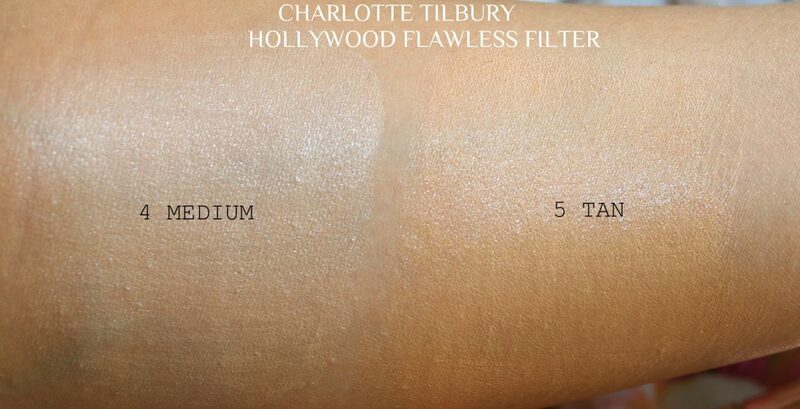 Charlotte Tilbury Hollywood Flawless Filter is a customisable, complexion booster, that gives everyone super starlit skin in seconds. It illuminates the skin for a dewy, flawless youthful glow. Love it! 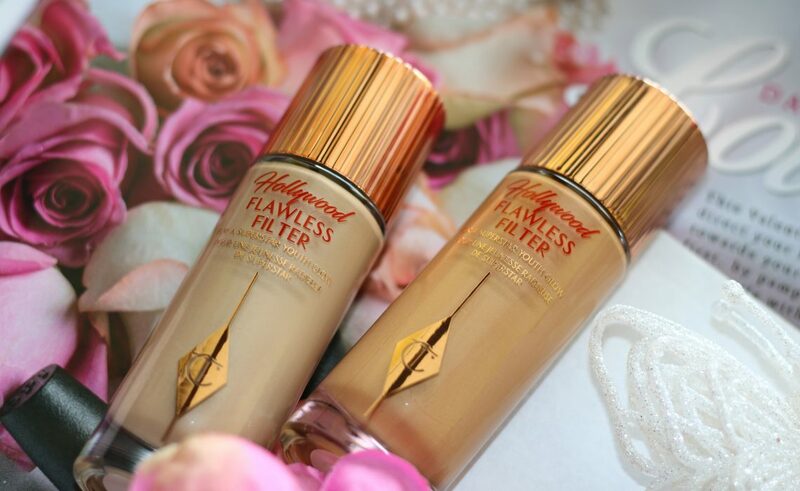 The Hollywood Flawless Filter has the versatility of a primer, the mega-watt glow of a highlighter, and the perfecting properties of your favorite digital filter. Featuring fabulous ingredients, it soft-focuses, illuminates skin and makes lines and pores appear smoother. 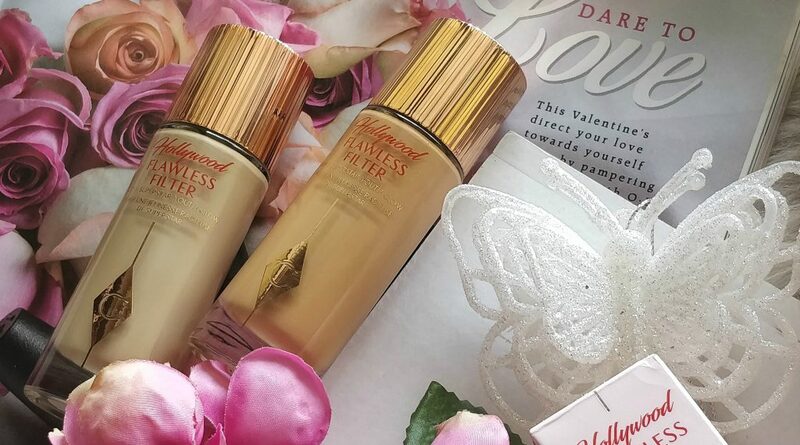 Uniquely blendable and buildable, this product can be used as a primer, foundation or enhancer, as a highlighter or on its own for a dewy glow. 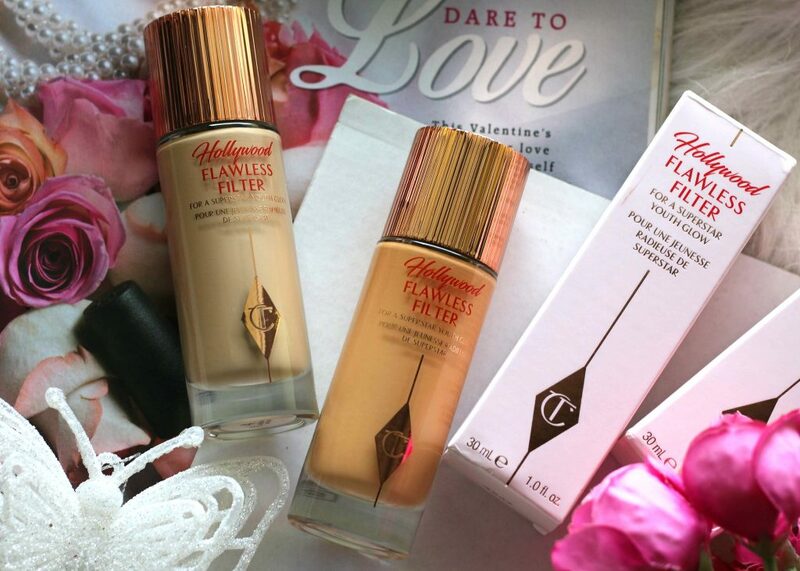 Charlotte Tilbury was inspired by the perfecting lens of social media filters and behind-the-scenes blurring and soft-focus tricks when creating this product. Smoothing airbrush polymers roll over your complexion for a poreless looking, creamy finish. Ideal for superstar-lit skin whether you want a subtle glow or a mega-watt complexion. Packaging – Comes in a glass bottle with a screw top rose gold lid. It has a doe-foot applicator. I got sent two shades in this. Packaging is heavy. As it has the sponge tip wand applicator, It’s pretty easy to apply. However, I feel packaging is a bit heavy for travelling. I would prefer it if this product was in the plastic container like the Light Wonder range or a pump packaging. While I normally prefer a pump, I like it that I am able to control how much product I dispense each time. Apply the Hollywood Flawless Filter using the Magic Wand applicator to your skin. There are several ways to apply this product. 1. Take a little bit and spread it across the skin, underneath your foundation for a subtle glow. 2. 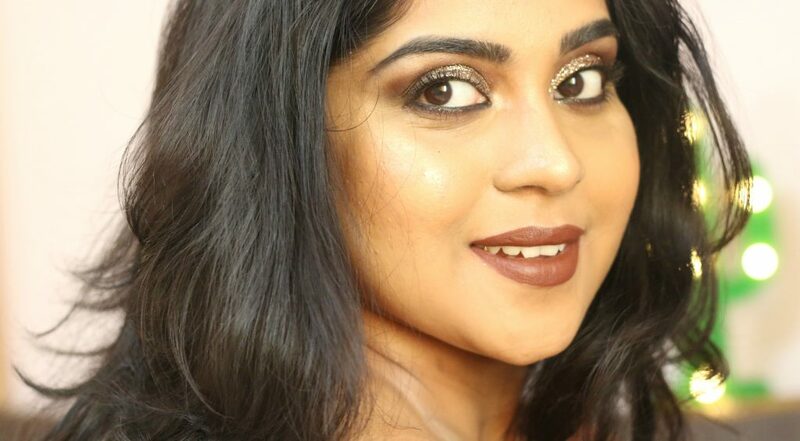 Mix with your foundation and apply for a glowy, radiant complexion. 3. Dot along the tops of your cheekbones, down the nose, above the cupid’s bow and anywhere else for that glow. 4. For all over application, simply apply all over your skin with the doe-foot applicator. Formula, Pigmentation – This product is available in 7 shades. Please note that this is NOT A FOUNDATION. So, basically, when you see the coverage, Please keep that in mind. You need to choose the shade that suits your undertone best, apply it beneath your foundation or as a highlighter. Formula is creamy, easy to blend and apply. My favorite way of applying this is on its own. 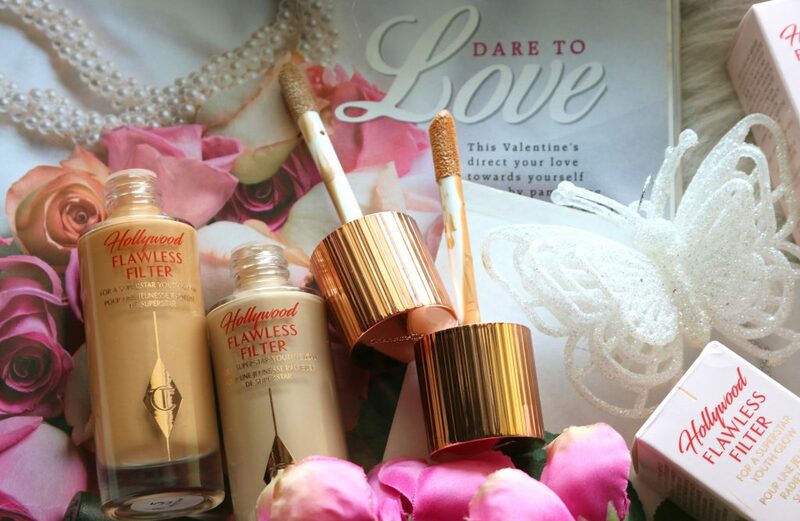 Coverage is sheer & glowy. I prefer to use it on its own with a touch of highlighter & bronzer for super summer / dewy skin. I also love to mix this along with a foundation for a radiant glowy finish. If you have really oily skin – I think you might want to stay away from this as this tend to make the oily skin look a bit greasy. Shade 4 is a perfect match to my skintone. Shade 4 is a neutral golden yellow for medium skin tones. Shade 5 is a neutral caramel shade for medium to tan skintones. 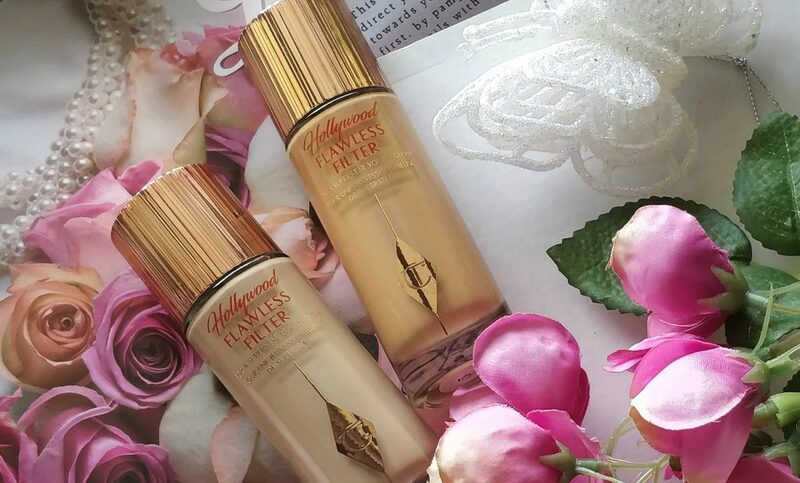 When applied under my foundation, this make my makeup looks smooth and poreless. As it has a glowy/dewy finish. It’s not drying on the face. It has that soft-focus glow which really evens out the skin and that’s what I love the most about this. Some of your might ask – If this is too glowy to be applied alone. No. it’s not. 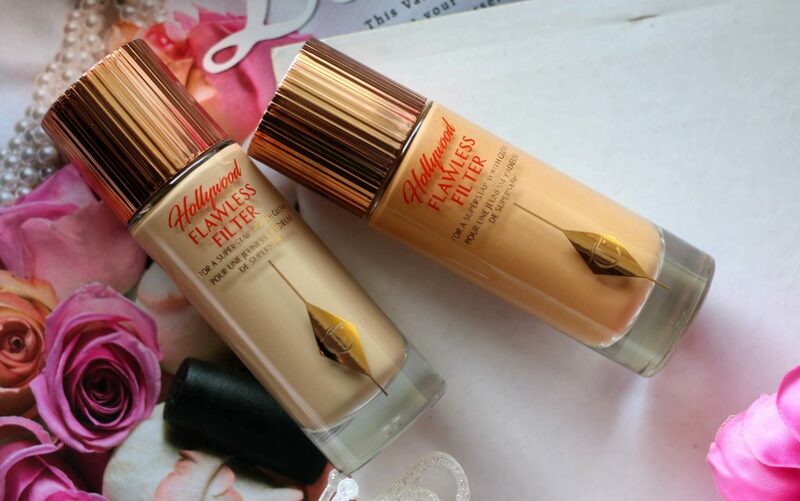 The radiant glow this flawless filter provides is very subtle and it’s not too sparkly or shimmery to be used alone. Overall, the finish is glowy or radiant. The creamy diffused glow formula blends perfectly on the skin without emphasizing pores or making face look greasy, oily or shiny sparkly. It doesn’t move the foundation. Long lasting texture too. It’s cruelty-free and free of talc, parabens, fragrance, gluten, nuts, and alcohol. I also love how I can multi-use this product. This product has already become my cult favorite. Before you complain that there are no 50+ shades to choose from, please keep in mind that this is not a foundation. It’s a beauty filter multi-use product. 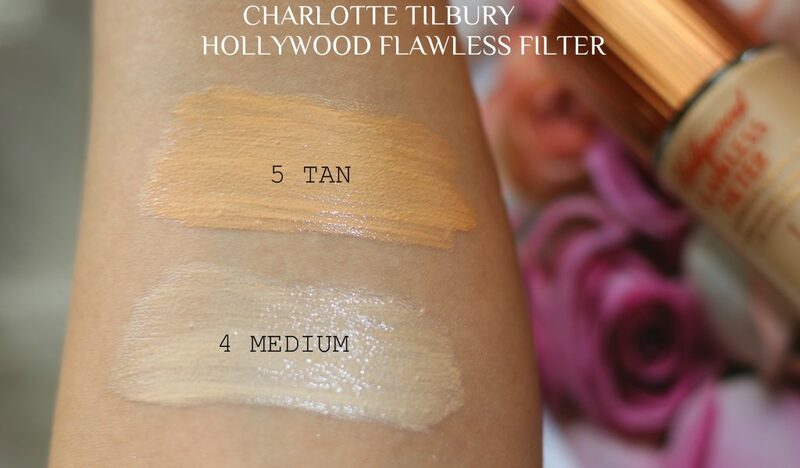 If you’re new to the brand Charlotte Tilbury, I recommend you check this Hollywood Flawless Filter out. Tilbury herself also recommends the Wonder Glow primer, a favorite of her celebrity clients. Your skin looks so radiant with this product! So pretty! 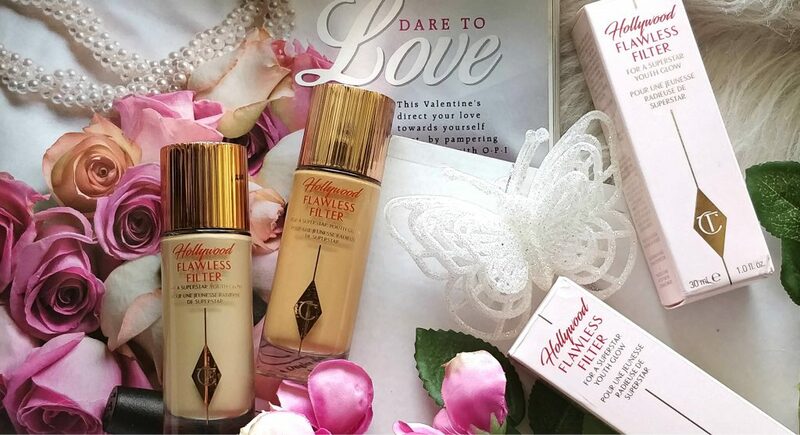 Wow those foundations looking so flawless! And I love the packaging. This is on my wishlist at the moment, love all her products. Gorgeous pics!! !